What is a screensaver? The screen being a digital countdown clock to the New Year date. It is very exciting! And at the same time it is very convenient, you\'ll always know how much time is left until the New Year! 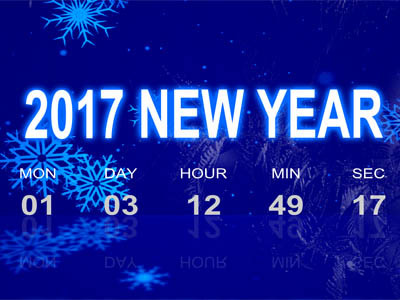 Attention to all people who are waiting for the New Year! Especially for you we made this digital countdown screensaver! What is a screensaver? The screen being a digital countdown clock to the New Year date. It is very exciting! And at the same time it is very convenient, you\'ll always know how much time is left until the New Year! Free festive winter screensaver will surely decorate your desktop and please your friends. Installation takes only a few seconds. Download free countdown screensaver today!